The Cubics Collection By Rondine Ceramica. The Cubics Collection is a high quality 3D Porcelain tile that resembles stacked ledger stones producing a beautiful cohesive panel. These stacked ledger stones are ideal for interior and exterior wall projets. 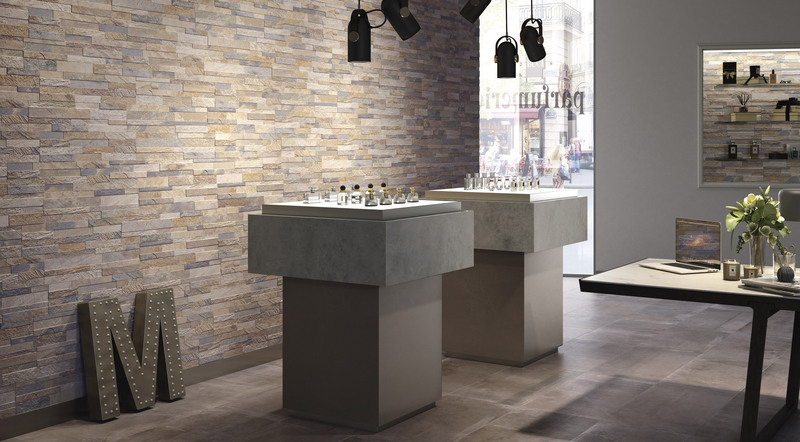 This glazed porcelain stoneware collection will enhance your spaces that are offered in 4 vibrant colors which includes In/Out Corners known as Angolo Interno (In-Corner) and Esterno (Out-Corner) Monolitico trims. *Please note special order items shipping times may vary. Call for more information.